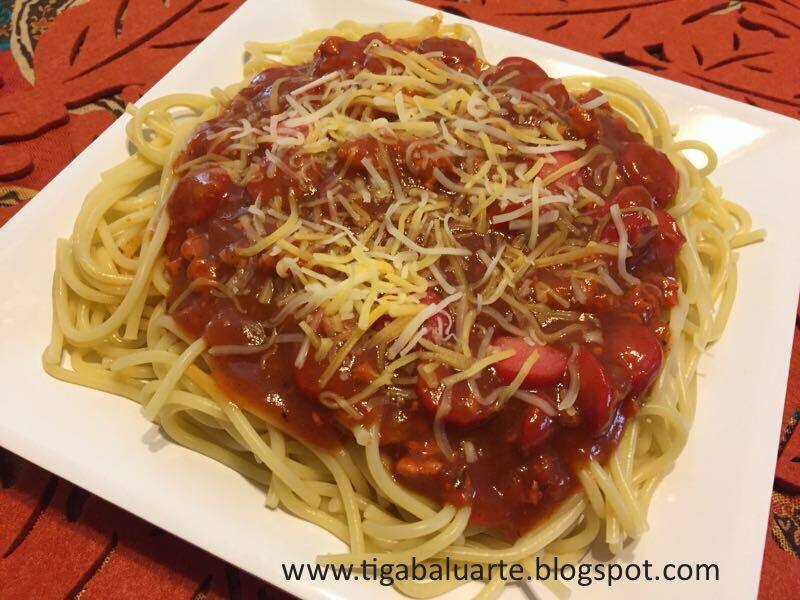 The kids favorite Filipino style Spaghetti. This recipe is creamier than the usual sauce and I used ground chicken this time. It turned out really good. No left over. Give it a try. On a big pot warm cooking oil and brown sliced hot dog, set aside. Using the same oil sauté garlic and onion. Add ground chicken, ground pepper and sauté till meat turns golden brown. Add the tomato ketchup and banana sauce and simmer for 20 minutes in low heat. Add sugar and evaporated milk. Stir and simmer for another 15-20 minutes in low heat. Add browned hot dog to the sauce and simmer for few more minutes. Season with salt and more ground pepper if desired. Pour sauce over the pasta. 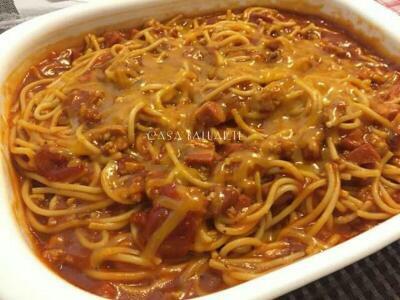 Top with grated cheese and serve. Wait....you didn't mention sugar in the ingredients list. How much white or brown? A teaspoon of white sugar will do unless you want it more sweeter then use 2 teaspoon.